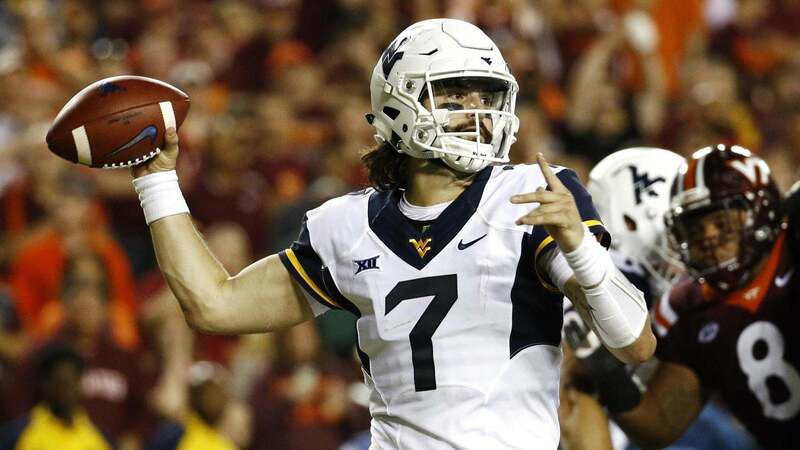 With only 16 days to go until the first round of the 2019 NFL Draft, a plethora of information will be coming at you as teams and analysts try to sort out just what will happen as the draft plays out. By this point in the draft process, typically the first overall pick is fairly settled, but this year even that is a question. So, trying to figure out what the Dallas Cowboys are going to do at pick 58 is an impossible process. The Cowboys give us some insight with their pre-draft visitors and private workouts, so we have something to go on, but it's misinformation season around the NFL. One draft analyst, who does incredible work every year to get draft information out for us to consume is Dane Brugler of The Draft Show and The Athletic. On Monday, Dane produced a full, 32 team NFL mock draft over on The Athletic. If you haven't taken a look, it's well worth your time. This is Dane's attempt to project how he thinks the NFL Draft will go. No draft analyst is 100% correct, but if the draft goes like this for the Dallas Cowboys, there will be a lot to like. Virginia Safety Juan Thornhill is a really good prospect that could be available for the Dallas Cowboys in the second round. He's not a perfect prospect, particularly in the run game, but he shows a willingness to put his head in the play to take on blockers or make the tackle. What's really exciting about Thornhill's game is his ability in coverage. He's a natural in his drops and plays zone very well. As a plus athlete with 4.42 speed, he is able to run with receivers all over the field. In his senior season, Thornhill had six interceptions for the Virginia Cavaliers and 13 total over his final three seasons. He also had 26 passes defended in his final three years at Virginia to go along with 208 total tackles and 12 tackles for loss. He lined up all over the secondary and even as a nickel linebacker. He'd be a great partner for Xavier Woods as Rod Marinelli could use either guy to play in the box or as the deep cover three safety. Thornhill and Woods could provide a dynamic duo in the back end that could create turnovers in the passing game. Check out Brian Martin's breakdown on Juan Thornhill. 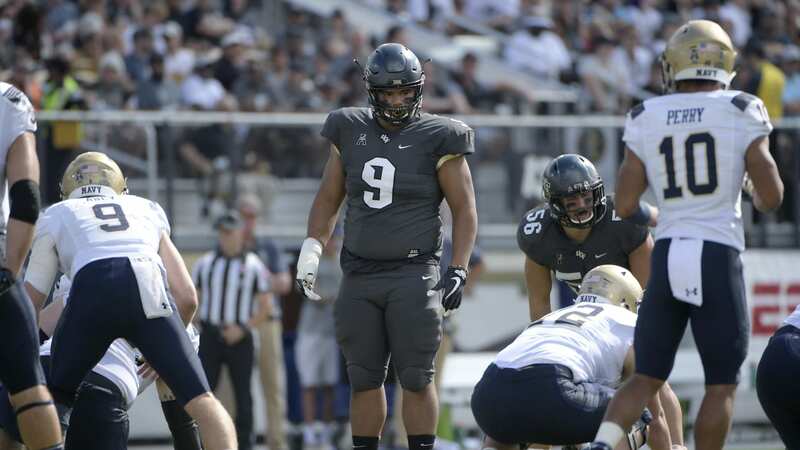 The Dallas Cowboys have been revamping their defensive line this offseason with the additions of Robert Quinn and Christian Covington and with the 90th overall pick, Dane sends University of Central Florida Defensive Tackle Trysten Hill to the Cowboys. Here's what Dane has to say. "With Demarcus Lawrence on a new deal and Robert Quinn in the fold, the Cowboys are in good shape on the edges, but could use more help inside. Hill is quick to pounce off the snap and moves more like a linebacker than a 308-pound defensive tackle." Hill projects as a potential 3-tech defensive tackle with his quickness and strength at the point of attack. 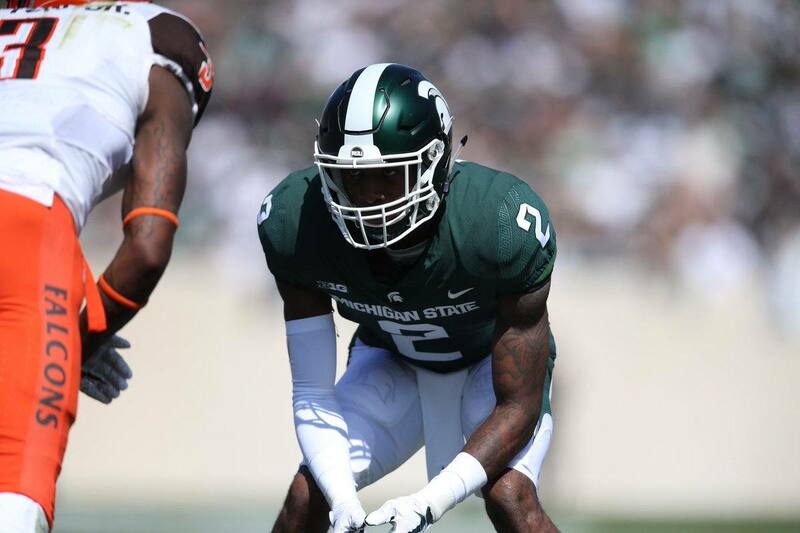 With Maliek Collins set to be a free agent after the 2019 season, the Cowboys could be looking to replace Collins who was their third rounder in the 2016 NFL Draft. He recorded three sacks and 10.5 tackles for loss in his junior season. Check out Brian Martin's breakdown on Trysten Hill. You know Bryce Love as the Heisman finalist who ran for more than 2,000 yards his junior season. Unfotunately, his college career ended tragically as he tore his ACL in the last game of the season last December. The Dallas Cowboys currently only have Ezekiel Elliott, Jamize Olawale, and Darius Jackson on the roster. If they plan to extend Ezekiel Elliott long-term, the front office needs to get him some help. Though Bryce Love's numbers dropped considerably from his junior to senior season, he's still a dynamic back who could help spell the NFL's leading rusher. Any projection of Love will have to take his ACL injury into account. Though Love could offer a dynamic ability, at this point in the draft, I'd rather see the Cowboys get a player who should be ready to help them week one like Justice Hill from Oklahoma State or Rodney Anderson from Oklahoma. Anderson would be my preference as he isn't just a change of pace or passing game back. With the 2019 NFL Draft deep along the defensive line, it wouldn't be surprising to see the Dallas Cowboys double up along the defensive line this year. So, here Dane Brugler takes Defensive Lineman John Cominsky out of Charleston. He's a raw player with a lot of athleticism who probably projects best as a 3-tech defensive tackle in the NFL. He plays with good leverage and is able to move his blocker back on the bull rush. With his athleticism, he's able to disengage and flow with the play. Here's what NFL.com Draft Analyst Lance Zierlein had to say about him. "The one-time option quarterback should be able to impress with his athletic testing during postseason workouts, but he still needs to keep adding play strength to be ready to handle NFL offensive linemen. Cominsky is built like a 3-4 defensive end and flashes potential to handle those types of run duties down the road. However, without more threat as a pass rusher, his NFL potential could be limited." May be missing snaps due to quality of video being tough to judge Cominsky from other players. Apologies for the inconvenience. The Dallas Cowboys generally draft at least one linebacker in every draft. Last year they took two in Leighton Vander Esch and Chris Covington. With Jaylon Smith, Leighton Vander Esch, Sean Lee, and Joe Thomas locked into the linebacker depth chart, there is room for some competition on the back end of the roster. Dane Brugler takes a linebacker for the Dallas Cowboys in the fifth round with his selection of North Carolina Linebacker Cole Holcomb. He has the looks of a weakside linebacker, but played primarily the MIKE for the Tar Heels. He's fast, athletic, and is a hard, sure tackler. Holcomb makes plays on the football. He led the Tar Heels in tackles with 108 and had eight tackles for loss and four forced fumbles in his final season for North Carolina. There are several cornerbacks who fit the profile for Dallas Cowboys Defensive Backs Coach Kris Richard in this draft, and Dane Brugler gives the Cowboys Kentucky Cornerback Chris Westry. Westry stands at 6-4 and 197 pounds and comes to the NFL with a lot of experience at the University of Kentucky. He played in 48 games over four seasons and three interceptions and 14 passes defended. His size is intriguing, but he'd be a project for the Cowboys to hope to develop and would likely start his career on the practice squad. Not every draft is going to go exactly as planned. There are far too many variables. However, if the draft went something similar to this, especially with Thornhill at 58, it could turn out to be a very good draft for the Dallas Cowboys. There's a possibility for them to add three difference makers on defense and a game breaker at running back. If there's a flaw in the projection, it's that there wasn't a wide receiver or tight end sent to the Dallas Cowboys. Again, not every draft will yield the results you like, and Dane knows as much as any analyst in the game, so this could be a pretty good haul for the Dallas Cowboys. 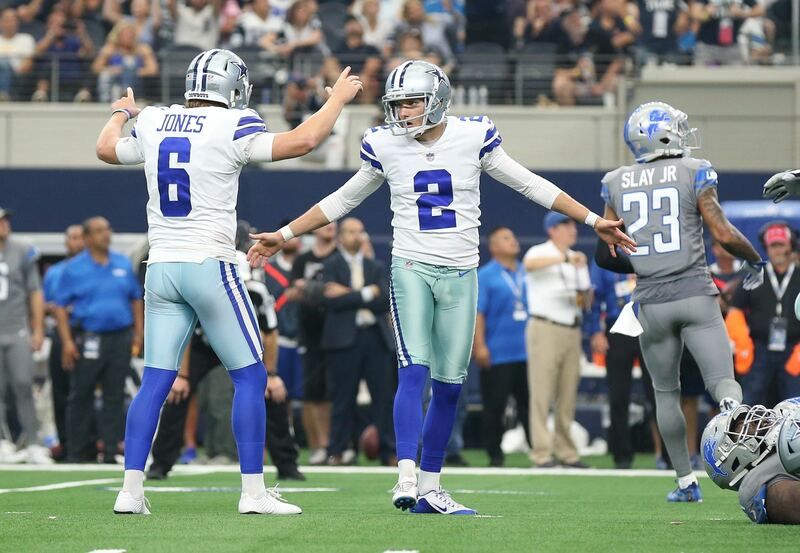 How would you feel with the Cowboys coming away with this group of players?